Create your own Konica-Minolta bizhub C351 color toner pack / bundle with our flexible quantity discount pricing. Mix and match products so you are only purchasing what you need, but also maximizing your savings. Compatible Cyan Toner Cartridge with 11,500 page yield. 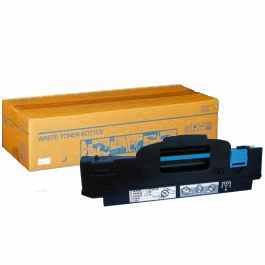 Equivalent to Konica-Minolta part number(s): 4053-701, TN310C. Fits the following model(s): Konica-Minolta C351. Compatible Magenta Toner Cartridge with 11,500 page yield. Equivalent to Konica-Minolta part number(s): 4053-601, TN310M. Fits the following model(s): Konica-Minolta C351. 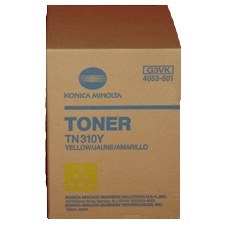 Compatible Yellow Toner Cartridge with 11,500 page yield. Equivalent to Konica-Minolta part number(s): 4053-501, TN310Y. Fits the following model(s): Konica-Minolta C351. Compatible Black Toner Cartridge with 11,500 page yield. 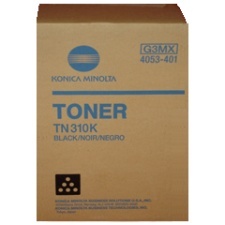 Equivalent to Konica-Minolta part number(s): 4053-401, TN310K. Fits the following model(s): Konica-Minolta C351. 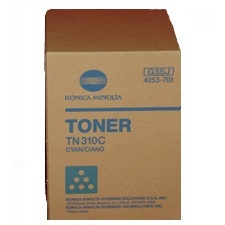 Buy our high quality compatible toner for Konica-Minolta bizhub C351 with confidence. Join thousands of happy customers who have found our compatible products are equivalent in page yield and print quality. For our compatible products, we offer a 100% Satisfaction Guarantee allowing you to return products within 6 months if you are unsatisfied. 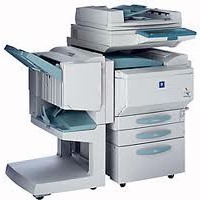 When working in a big office for a growing business, the last thing you want is to wait for documents to print or copy. Nothing slows down the day more than an inefficient printer. Though people are used to using multiple machines, most don't realize how much time it saves to have multiple devices in one unit. 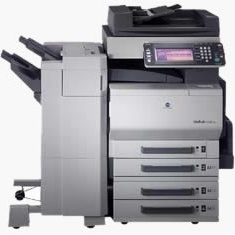 All-in-one laser printers are perfect for large businesses. They tend to be reliable, durable and fast. This is true for the Konica Minolta bizhub C351, which is a color laser printer designed specifically for lightening the workload. Printing as many as 35 pages per minute when using only black Konica Minolta C351 toner and 22 pages per minute in color, this is one of the fastest multi-purpose printers on the market. The four bizhub C351 laser toner cartridges are filled yellow, cyan, magenta and black printer toner. 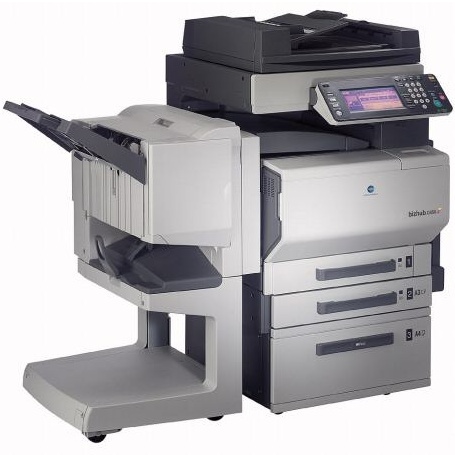 Speed, quality and high-grade Konica Minolta C351 toner are just three of the features that make this unit a good fit for offices. The manufacturer provides helpful software that makes it simple to navigate through the many features and functions. It helps turn scanned text into editable text and automatically enhances images and text. All four Konica Minolta C351 toner cartridges have a huge page yield of 11,000 pages each. Even high-capacity Konica-Minolta toner like this run out eventually and will need to be replaced. From the manufacturers, replacements could get a little pricey. However, remanufactured versions of bizhub C351 toner are available for a much more reasonable price. 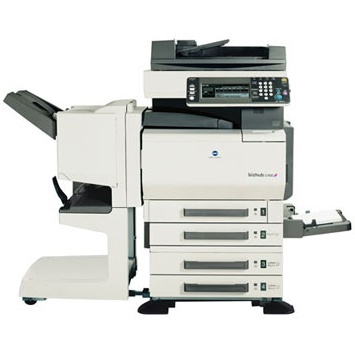 Though the C351 does not allow faxing, the scanning and copying functions have high performance rating. Because faxing has become an outdated form of communication, this will not be much of a downfall. It weighs over 200 pounds with each toner cartridge, and installing it will take more than one set of hands. However, it is worth the heavy lifting to have the C351 in the office.